A condition of the United States Fish and Wildlife Service Incidental Take Permit the County must amend applicable ordinances as described in Chapter 7 of the Habitat Conservation Plan. The amended ordinance County Ordinance 2007-19 Beach Code replaces County Ordinance 97-34 and encompasses past restrictions on the beach into one unified Ordinance. 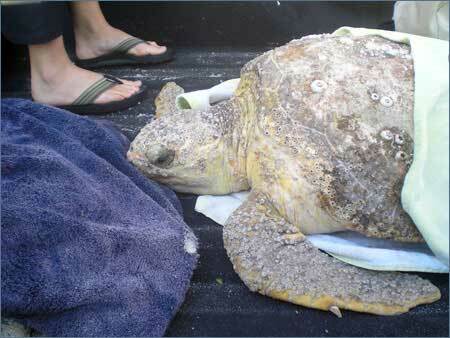 Do not put the turtles back into the water as they need medical attention from our experienced veterinary staff. If you find a dead or sick sea turtle, please call the FWC's 24-hour Wildlife Alert Number at 1-888-404-FWCC (1-888-404-3922).